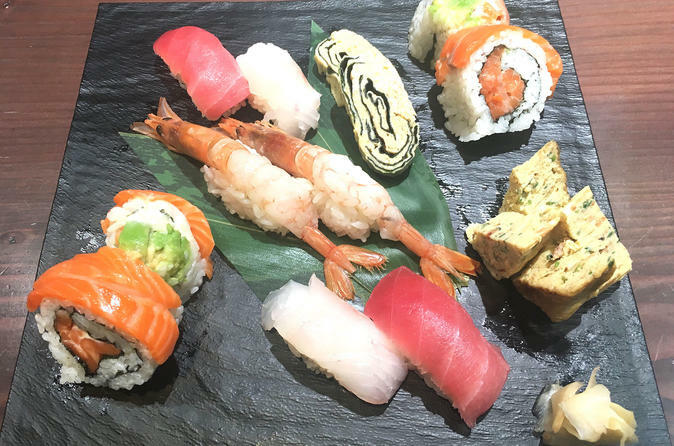 Join your local host Masahito for a two hour hands-on cooking class where you will learn to make your own sushi. Depending on your preference, Masahito can offer a traditional or vegetarian sushi making class. Your host will first demonstrate the cutting and cooking technique before letting you roll your own sushi. Don't miss out on this wonderful opportunity to learn from a local so you can throw your own sushi party back home! Your hosts Masa and Junko are experts in the field of Edomae sushi (using fish from the Tokyo Bay) and washoku (traditional Japanese food). Masa was in the export business and often entertained his partners over a homecooked Japanese meal. They enjoyed it so much that they convinced Masa to start a cooking studio to share his passion for food. Masa learned to cook from his parents and further developed his skills by reading books and inviting friends over to try new recipes. After Junko graduated from university she worked at a food company where she cooked every day and developed her culinary skills. She owned a cooking studio herself before joining Masa. Together they offer a variety of cooking classes - sushi, sashimi, tempura, shokado bento and Wagyu beef. Masa and his team delight in showcasing Japanese cuisine and hospitality. Depending on the day you visit, you might be hosted by Masa or Junko. Please note: This experience takes place in a professional cooking studio, not in a home.